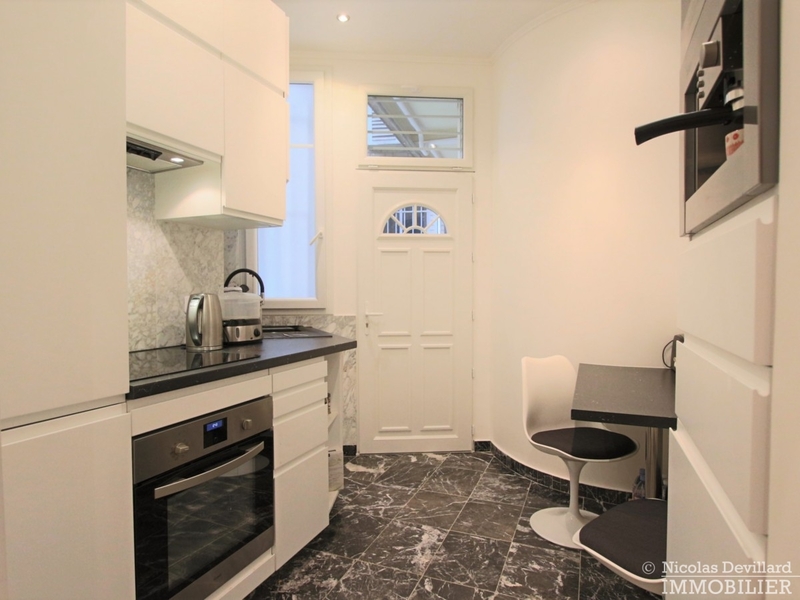 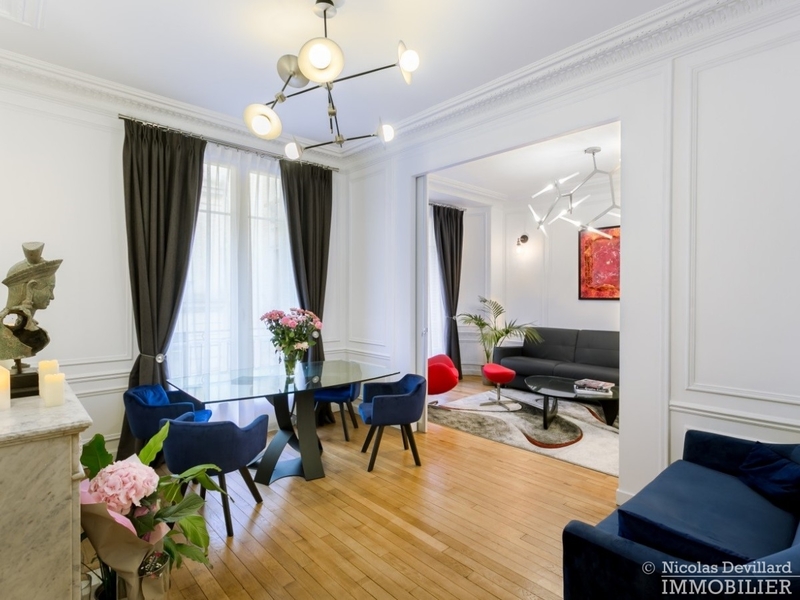 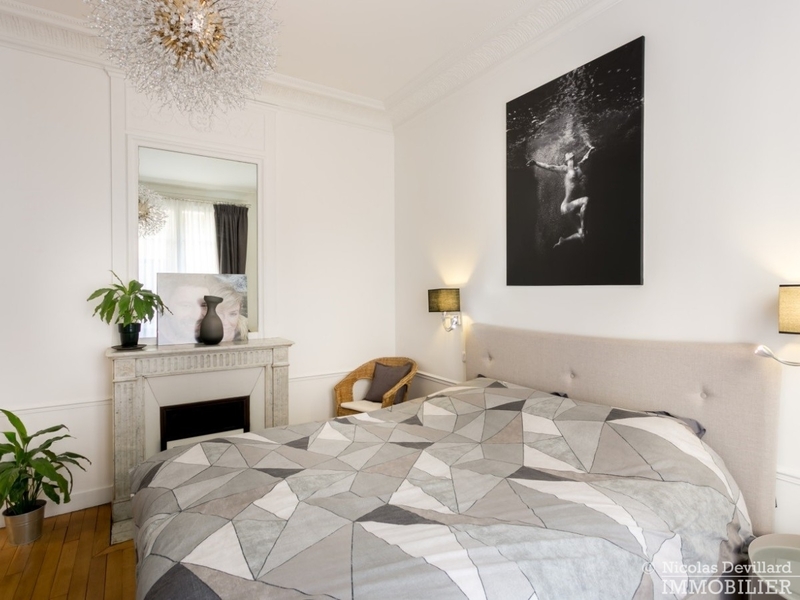 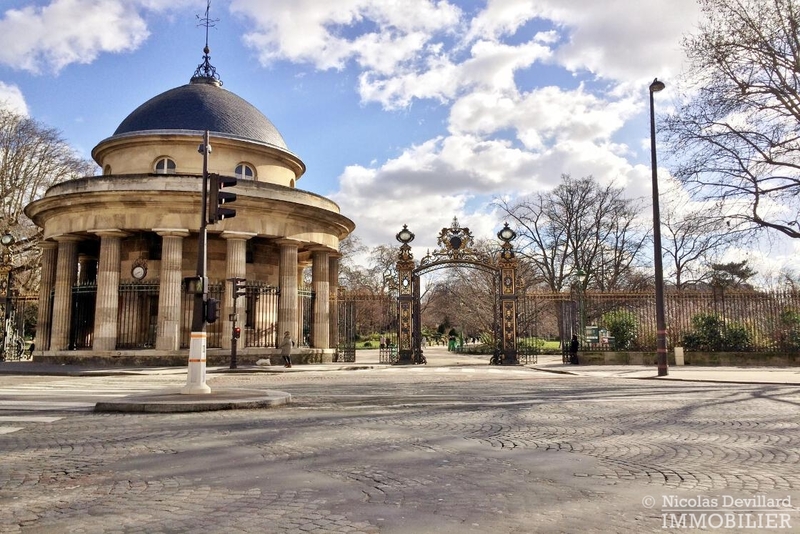 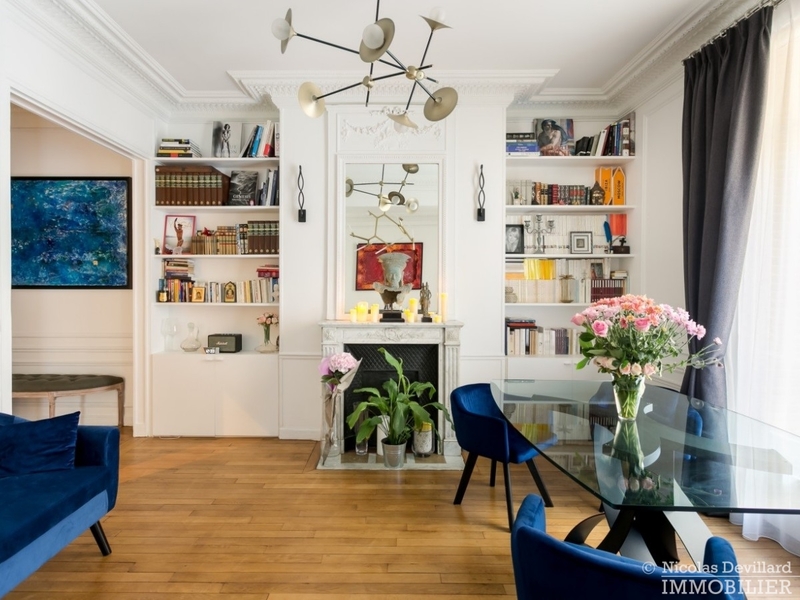 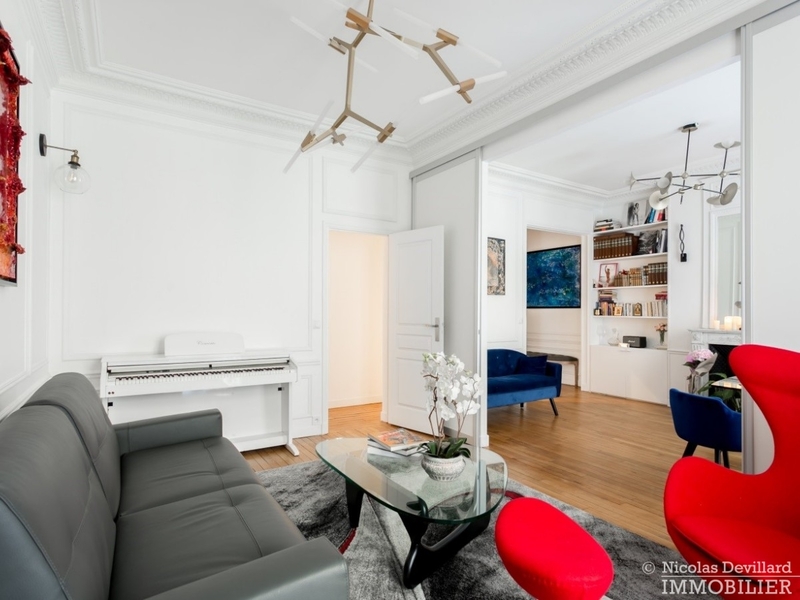 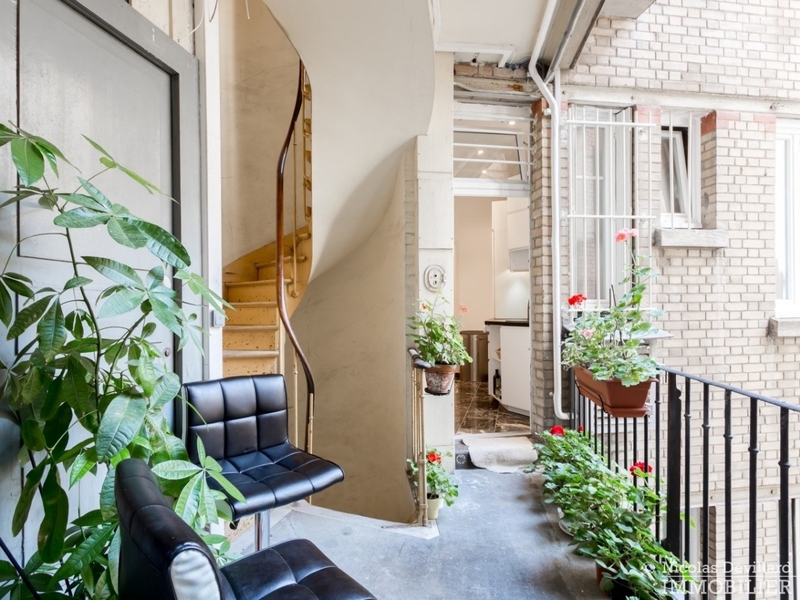 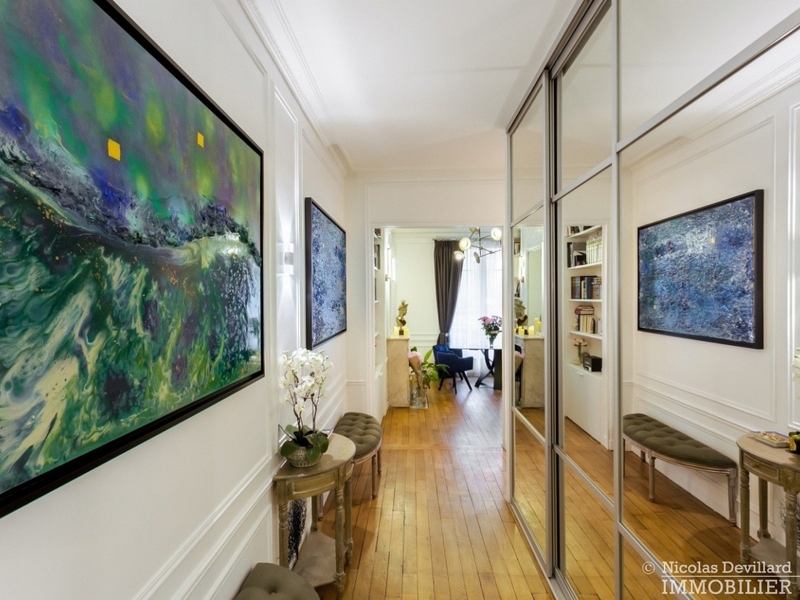 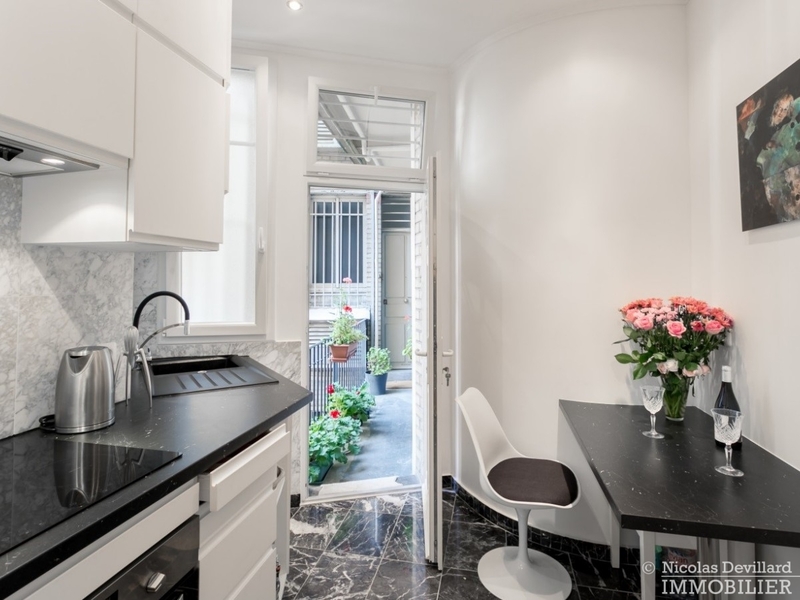 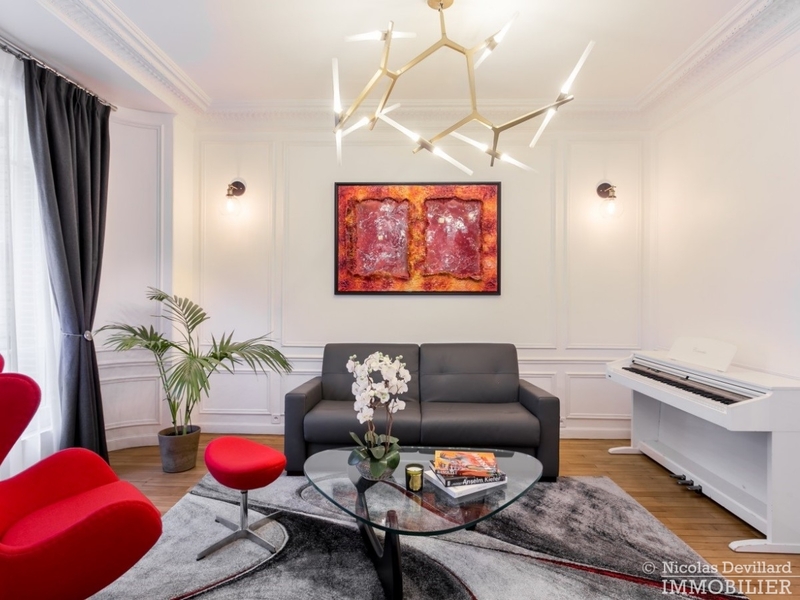 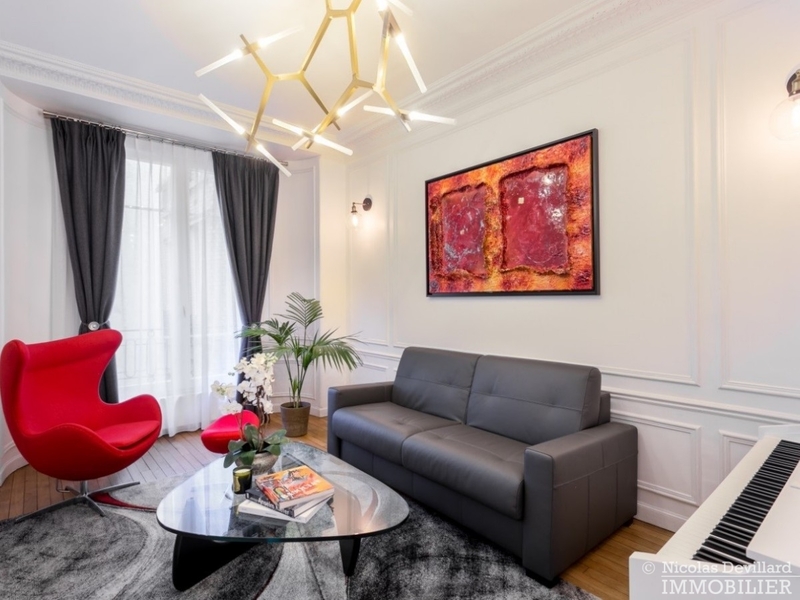 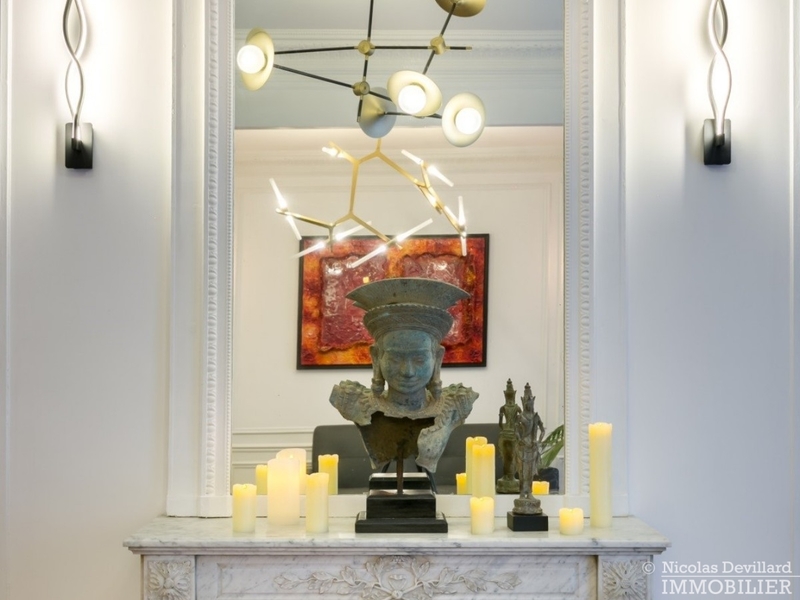 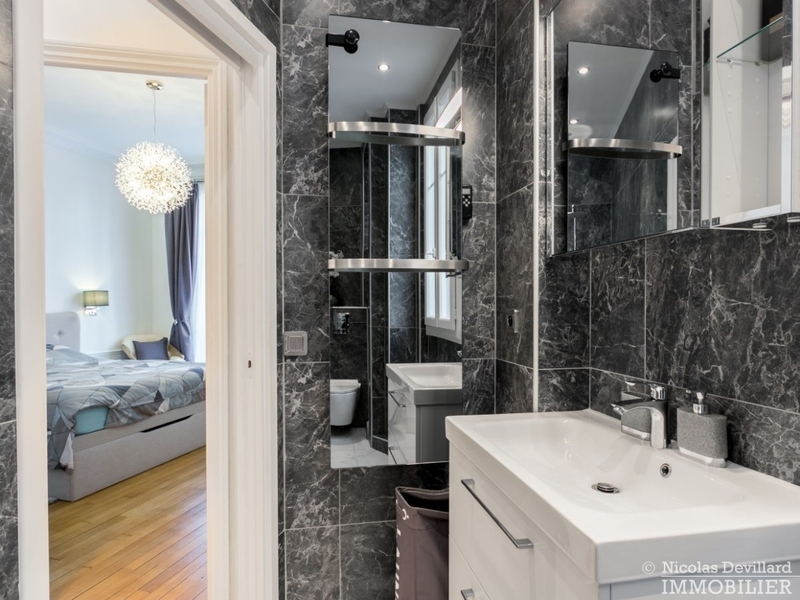 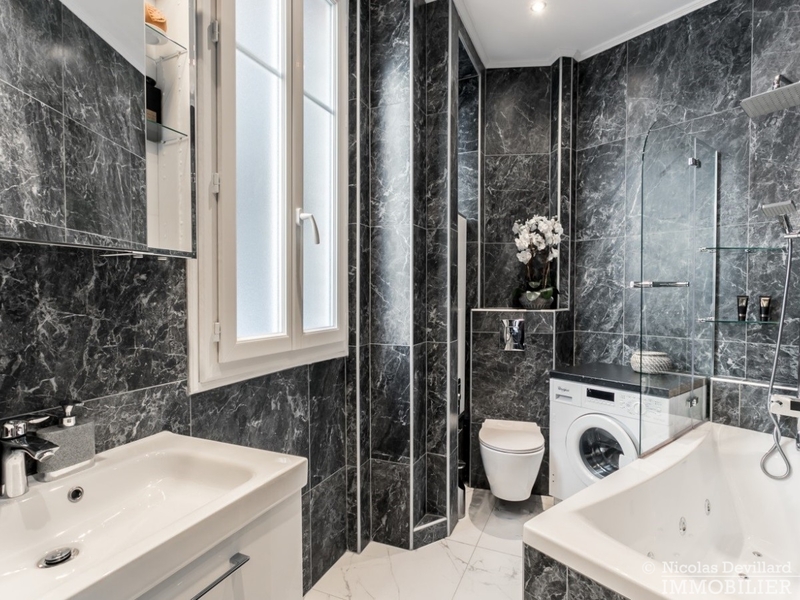 Around the corner from Parc Monceau, the lively Levis street and 8th arrondissement’s border, this renovated and very calm apartment offers all the classical Parisian features: high ceilings, hardwood floors, fireplaces, mouldings. 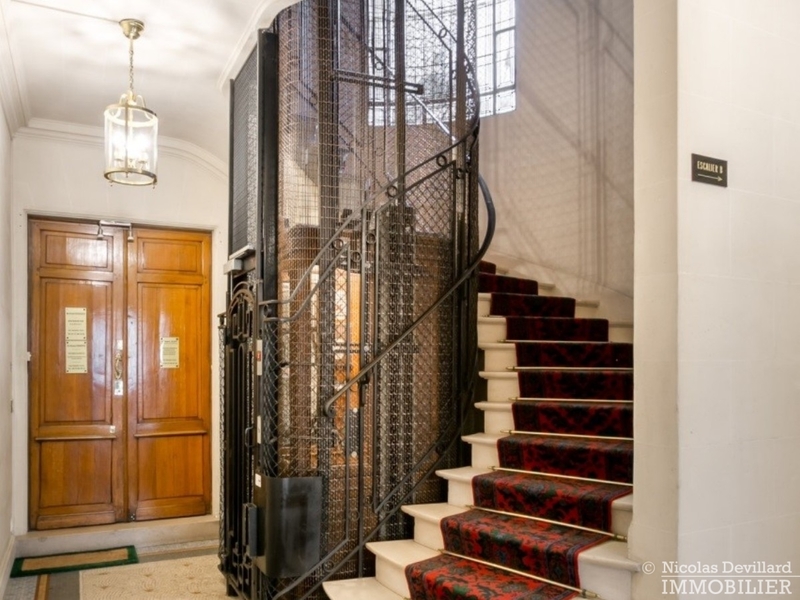 Located on the 2nd floor with elevator of an early 20th century building of standing, it consists of an entrance-gallery, sitting room, dining-room (possibly 2nd bedroom), 1 bedroom with a large closet, equipped kitchen with a breakfast area and a service entrance, bathroom with wc. 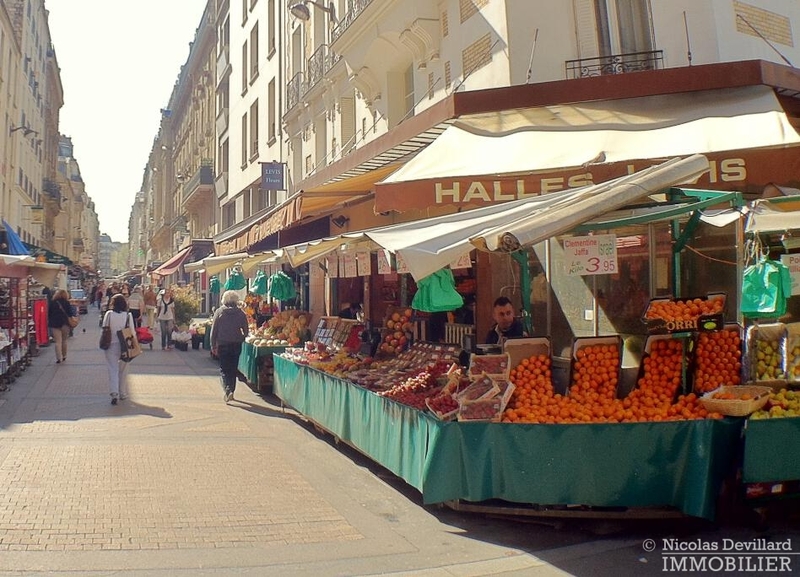 Carrez surface: 75,03 sq.m. 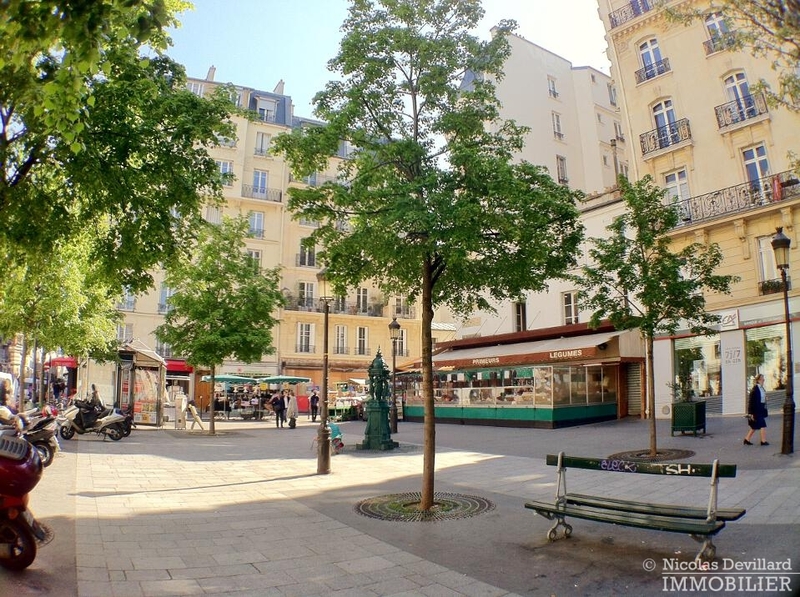 Metro Villiers or Monceau (lines 2 & 3).